KrASIA Weekly Roundup: A Future Showdown between Go-Jek and Grab? Hi everyone, good weekend and Happy Easter, it’s Shannon. We had an eventful week this week, with the merger between Grab and Uber Southeast Asia leaving a void in the ride-hailing market in Southeast Asia. Both Grab and Uber SEA hoarded the market in ride-hailing in most parts of SEA, with both competing with each other to out-innovate each other in this industry, which led to us being showered with means and convenience of discounted transport that also adhere to specific needs. Now, with both becoming one entity, the new entity, with its monopoly status, is slated to turn off the tap of discounts. But the larger question is, how will this massive dominance of Grab in the SEA region unravel Grab itself, especially in Indonesia which is currently dominated by home-grown Go-Jek. Nadiem Makarim, CEO of Go-Jek, Indonesia-grown ride-hailing and online payment upstart, felt Uber SEA dealt them an opportunity when Uber sold its SEA unit to Grab. Makarim said that, “fewer players means a smoother path to continued and deepened market leadership,” for Go-Jek Indonesia. Makarim, speaking at a tech conference hosted by Wall Street Journal, claimed 10 million weekly users on Go-Jek and has established a 50% share of Indonesia’s ride-hailing market. The behemoth Grab, with its presence in Singapore, Malaysia, Myanmar, Philippines, Thailand, Vietnam, and home to Go-Jek, Indonesia, has monopolized the ride-hailing industry across the region. Focus would be shift to Indonesia, where they fall below 50% of market share. Tons of pressure would weigh on Go-Jek’s shoulders with the scent of a now much stronger Grab would be attacking on its home turf, right before Go-Jek launched its own overseas expansion plan in the region. Go-Jek has to move faster. Shortly following the merger, Go-Jek announced it would drive its presence through SEA, with the official announcement to be released in weeks to come, according to Reuters. Makarim did mention to Reuters in an email that Go-Jek plans to expand to three other Southeast Asian countries by the middle of this year. 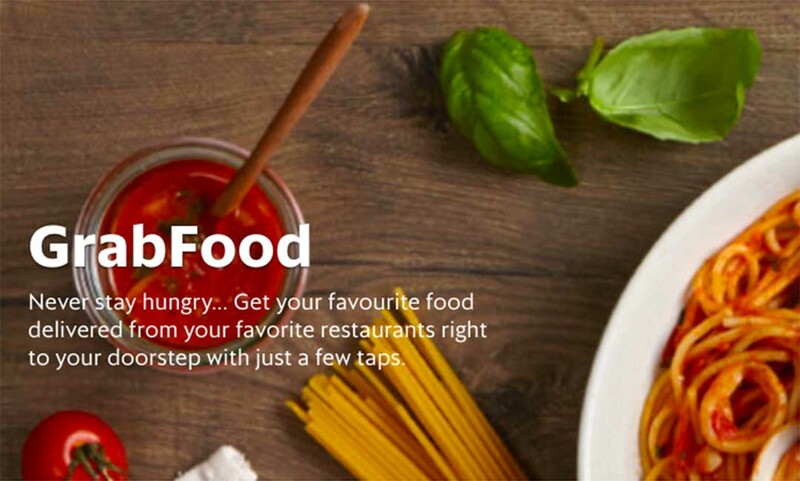 GrabFood, Grab’s food delivery service already has presence in Indonesia, and Anthony Tan, CEO and founder of Grab, said they aim to be the number 1 food delivery service provider in the region. GrabFood would in any way threaten Go-Jeks food delivery service in Indonesia, Go-Food. Competition would see both food arms race to gather co-operation with food industries, and provide the best price for delivery. GrabFood forms an undeniable synergy with GrabBike, improving the latter’s earning and productivity, expanding the range of everday service they offer. It would also drive the use of GrabPay mobile wallet, supporting the company’s growth in its financial arm, which would be introduced to all major SEA countries by the end of this year. Is this the right time for Go-Jek to start expansion? In Asia, ride-hailing companies relied greatly on discounts and promotions to garner market share. This drove down their profit margins and increased the pressure for sector consolidation. Uber CEO Dara Khosrowshahi said last year that Uber’s Asia operations were not going to be “profitable anytime soon” due to high ride subsidies. With Grab monopolising this industry, we may see fare prices spike. It is all about supply and demand. The moment this happens, Grab would be left vulnerable to alternative modes of transport. This could possibly be the opening for Go-Jek to gather users if the prices are more favorable, because switching cost is low. However, the problem for Go-Jek would lie in the saturation of drivers. As Uber SEA drivers would transfer over to Grab, coupled with the newly formed GrabFinancial to provide insurance options for their drivers, it would be hard for Go-Jek to gather the one thing that makes it possible for ride-hailing companies to operate. Although, if the concentration of Grab drivers lowers their productivity, they may be willing to switch over. Grab and Go-Jek both provide a variety of services. Hopefully, if competition between these unicorn startups comes about, we would see greater innovations from both. Here are some stories and ideas that you shouldn’t miss. See you next week. Is SoftBank Really Orchestrating A Merger between Uber and Didi Chuxing?